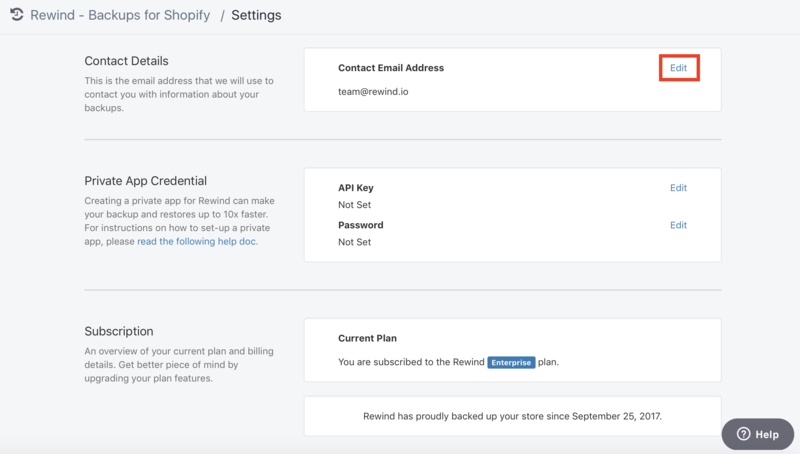 The email address associated with your Rewind account is the one we will send any and all updates/information pertaining to your subscription and/or store. For those who have been with us for a minimum of 3-6 months (depending on your given, paid plan) and are requesting an export of your data, this is the email address we will send your ZIP file to. 1. At the top of the home page in the Rewind app, click on "Settings". 2. In the 'Contact Details' section, next to 'Contact Email Address', select "Edit". 4. 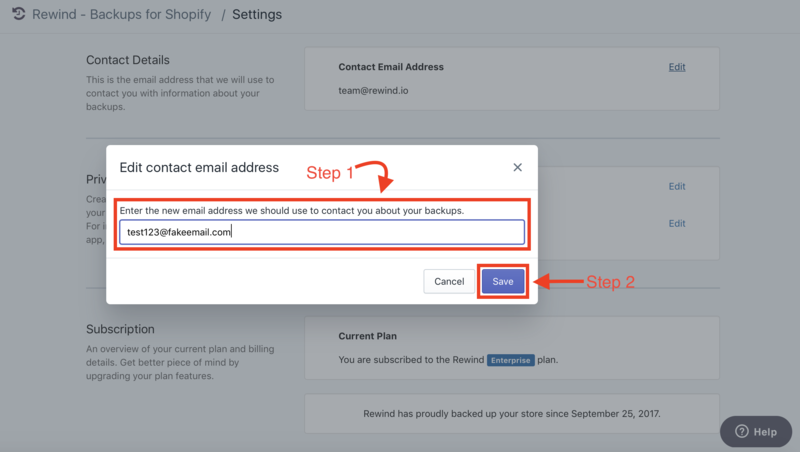 In the blank text box, enter in the new email address you wish to use for your Rewind account, then click "Save". 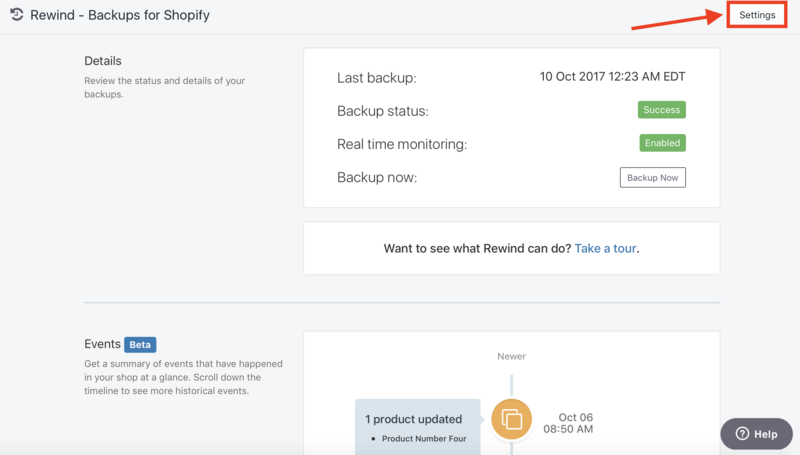 Your new email address is now the primary email associated with your Rewind account.